Last Call for Fan Challenge! 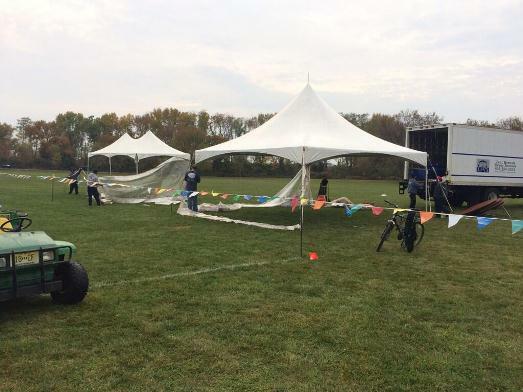 One more day to go… can you believe that Heps XC is tomorrow? Princeton is working on the final details of the setup right now. If you haven’t already, let us know if you’re planning to attend! If you cannot make it, follow facebook and twitter using #HepsXC (and feel free to follow us in general). Also, today is the last day to enter the Heps XC Fan Challenge! Right now, we only have two people signed up and they do not have any of the same picks. Want some help on who to cheer for? We hoped that our team previews can give you a good indicator on what to expect, but we found some other items to share. Men: 1. Columbia (16) 184, 2. Princeton (8) 179, 3. Harvard (1) 141, 4. Dartmouth 130, 5. Yale 81, 6. Cornell 79, 7. Penn 63, 8. Brown 43. Flotrack called the men’s race a “dog fight” and “difficult to call“, but Flotrack’s Alex Lohr picked Columbia over Princeton, with Harvard’s James Leakos for the individual win. He did not make any predictions for the women’s race, but in their weekly Run Junkie series, they had called it the “Dartmouth show”. Dartmouth alum Jon Gault published his thoughts on the two Heps races. For the men, Gault believes that the Princeton Tigers will hold off Columbia for the team title but is not fully on board for a Harvard 1-2 finish. For the women, Gault is going with his alma mater, Dartmouth and Abbey D’Agostino. This entry was posted on Friday, November 1st, 2013 at 6:56 am. It is filed under Heps Champs. You can follow any responses to this entry through the RSS 2.0 feed.